Steve from Retro Man Blog is joined by Buddy Ascott drummer with The Chords and The Fallen Leaves to discuss the Retro Man Blog Night with Fay Hallam at the Half Moon Putney on Feb 9th, his upcoming Budstock birthday gig at The 100 Club, The Leaves Marc Riley Session, his production work, new books on Mod Art and Modzines and we pay tribute to Pete Shelley of Buzzcocks. 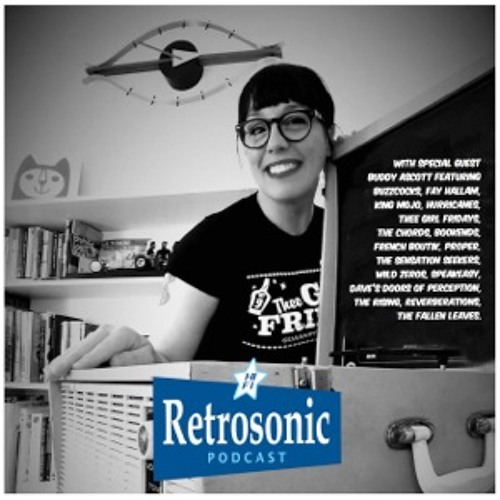 Along the way we play a selection of brand new releases including Thee Girl Fridays, French Boutik, Wild Zeros, The Rising, Reverberations, Proper, The Bookends, The Hurricanes, The Sensation Seekers, Dave's Doors of Perception and an exclusive from The Fallen Leaves. There's also music from Speakeasy, Fay Hallam & The Bongolian, King Mojo, Buzzcocks and The Chords.